Mike Zeller is the co-head of Moore & Van Allen's Global Services Group. In that role he provides his corporate transactional clients the accessibility, responsiveness, knowledge and understanding of in-house counsel, coupled with the deep, full-spectrum Moore & Van Allen legal resources and cost-efficiencies. He gives his regional, national and international clients passionate, straightforward counsel in general corporate representation, mergers and acquisitions, franchising, inbound and outbound international trade. Zeller represents companies both as franchisors and franchisees. A significant portion of Zeller's practice involves the implementation of Employee Stock Ownership Plans (ESOPs) and transactions involving ESOP companies. In this regard, Zeller represents both corporations and institutional trustees. Handling their requests with all possible attention and high professionalism. Using realistic and timely communication. Providing options that best accomplish their desired outcomes. 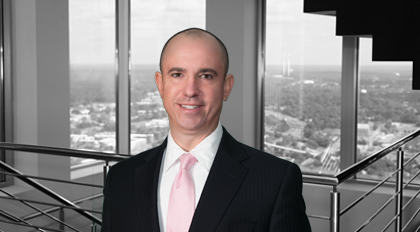 From 1997 to 2007, he has served as local counsel to CIT Small Business Lending Corporation. He also represents clients as borrowers in connection with major corporate acquisitions, reorganizations, plant expansions and increased working-capital needs. Fluent in German and formerly associated with DROSTE, a prominent Hamburg, Germany, law firm, he assists foreign clients, with a large focus on German and German-speaking companies, in establishing business relations or subsidiaries in the United States. He advises United States-based clients on the development of trading opportunities abroad, joint venture agreements, distributor and agency agreements, sales representative agreements, licensing agreements, and disputes with the U.S. Customs Service.